I know, we're all tired of hearing about Mitt Romney's "binders full of women" comment at Tuesday night's debate, but I still wanted to share a fun fact: Over the past 24 hours, that comment has sparked more than 5,500 public online mentions of Trapper Keeper, according to data pulled from Radian6. You can see an hour-by-hour chart of mentions below. It's an impressive bump from the usual daily tally of about five mentions. 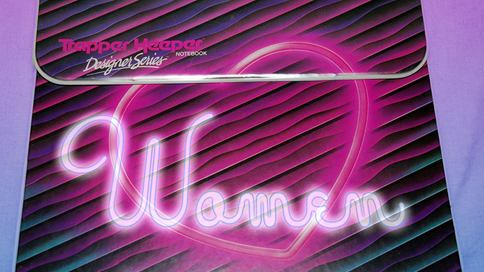 I tried reaching out to Trapper Keeper parent company ACCO Brands but never heard back, so it's hard to know if they have any plans to capitalize on this brief burst of cultural relevance. The Trapper subbrand of Mead School Supplies doesn't seem to have an official Twitter account, either, though in the process of my research, I discovered that the Mead Five Star Notebook account is impressively active. Maybe they'll get lucky and the next debate will feature a mention of a "composition book full of Hispanics." Photo credit goes to Binders Full of Women on Tumblr, naturally.